After graduating from Tufts Dental School in 1999,Dr. John Pham decided to head back to Southern California. Working as an associated at many dental offices, he found a place that he enjoys working for, a community clinic. It is there that he became dental director and successfully managed the clinic for over 8 years. 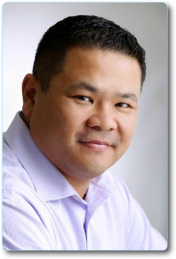 Dr. Pham believes in donating his services to those less fortunate in the Los Angeles community clinic. Dr. John Pham is a family dentist and treats patients of all ages. He is able to offer a full service office. General, cosmetic, children’s and sedation dentistry are just some of the treatment you can expect at our office. My staff and I that know that getting appointments at convenient times can be challenging for some people. This is why we have provide flexible appointments and extended working hours in the evenings. We seek to accommodate patients as quickly as possible, including same day appointments for patients who have urgent needs. Should a dental emergency occur, we aim to care for you as soon as possible. Here at Happy Teeth Dental, we pride ourselves in providing the best possible quality of dental treatment. We measure ourselves rigorously on the durability and quality of our treatments and seek to continuously improve. To give you the benefit of the latest developments in dentistry, all the staffs at Happy Teeth Dental are committed to continual education and learning. We review dental journals, attend dental lectures, meetings, and dental conventions to stay informed of new techniques and the latest products, that a modern dental office can utilize to provide state-of-the-art dental care. Also, being members of various professional dental associations helps us to stay abreast of the changes and recommendations for our profession.